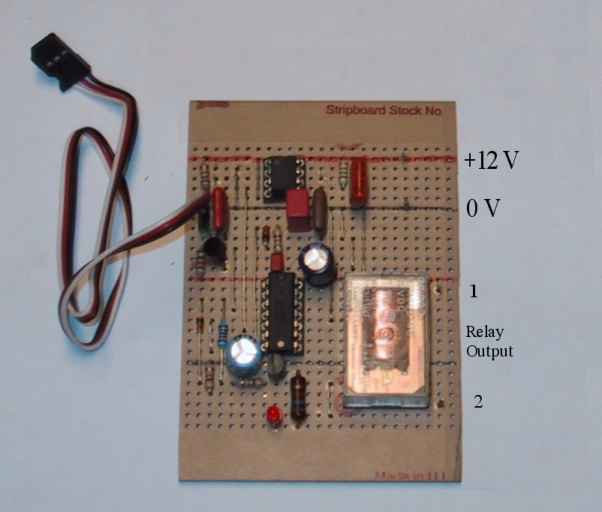 A failsafe circuit shuts down your robot if there is a problem with your radio control system. The added bonus is that you can turn the robot off remotely. 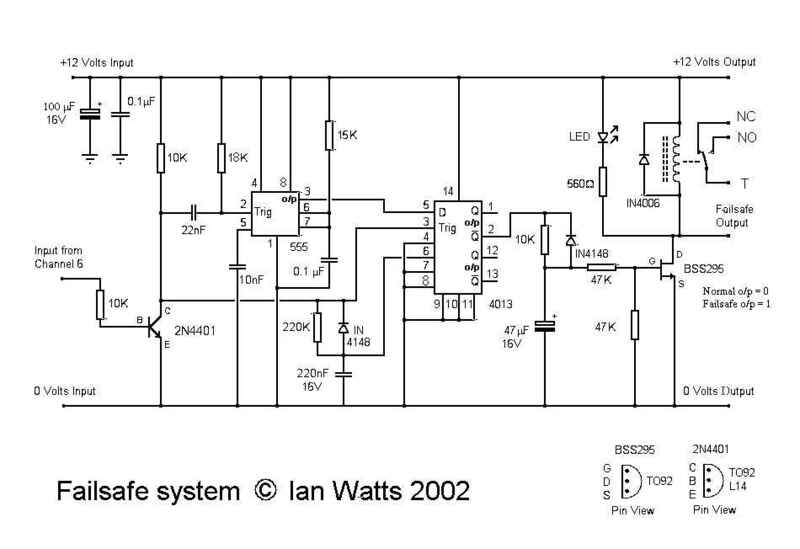 The heart of this failsafe system is the 555 timer chip and the 4013 D-type flip-flop. Only one half of the 4013 is used, the other half is disabled. 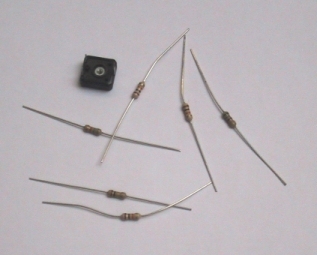 The receiver, when the transmitter is on, produces a stream of pulses from each of it's channels. 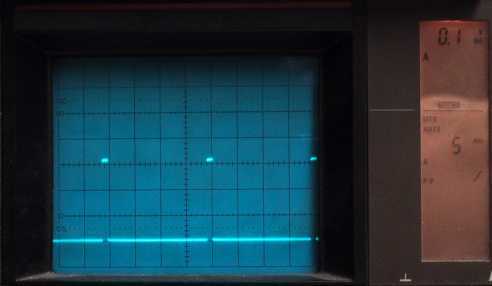 When the transmitter is off these pulses are not present or in a noisy environment there are lots of varying length spikes and small pulses. This circuit detects pulses over 1.5mS long and when 5 or more good pulses are received then the failsafe output goes low. If 1 or more bad pulses are received then the failsafe output goes high. Note the interference suppression capacitor. You may need several of these around the board across the supply rails. 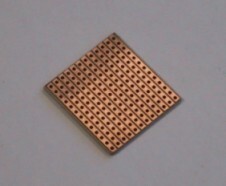 They need to be 0.1 microfarad disc ceramic type. 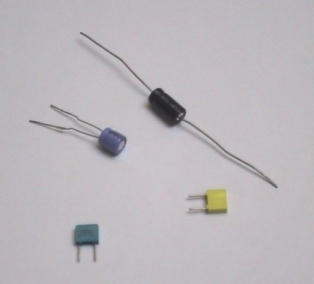 3x 47k ohm. . . . . . .
First cut the Vero board to size, then clean the underside with a scouring pad. Don't miss this bit out as it makes soldering much easier later on. File the edges of the board clean, this makes for a much nicer looking job. 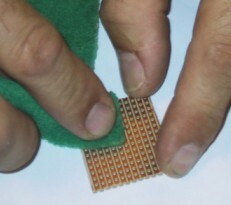 Fit the chip sockets, cut the tracks between the legs before you solder. Don't cut all the tracks of the 4013, you don't need to!